The mounting cases of people suffering from respiratory disorders is the foremost factor driving the global respiratory diagnostics market. Changing lifestyles have a key role to play in the increasing prevalence of these disorders. People are shifting to sedentary routines, which include minimum physical activities. Moreover, rapid urbanization and rising sales of automobiles are resulting in increased levels of pollution. The increasing pollution levels along with the growing inclination towards tobacco smoking are leading to the greater cases of respiratory diseases. However, the lack of awareness among the populace of developing and less-developed countries is limiting the widespread adoption of respiratory diagnostics. In addition, a large part of the patient pool in these countries remains undiagnosed and untreated, which in turn is negatively impacting the growth of the market. Nevertheless, market players are likely to capitalize on this and initiate awareness campaigns to raise the visibility of their offerings in these regions. Furthermore, the soaring demand for home care and point-of-care diagnostic devices is opening new avenues for players in the global respiratory diagnostics market. The global market for respiratory diagnostics holds immense growth potential. The emergence of new players in the market is likely to intensify the competition in the market in the near future. Product innovation and technological advancements are expected to be special areas of focus of key players to stay ahead. Market participants will also bank on strategies such as mergers and acquisitions to increase their shares in the global respiratory diagnostics market. The global market for respiratory diagnostics, which has been treading on a healthy growth path, can be segmented based on different parameters. Depending upon the products and services, for example, the key segments in the global respiratory diagnostics market are assays and reagents, instruments and devices, and services and software. Among them, the instruments and devices segment accounts for a dominant share in the market due to their strong demand in point-of-care, laboratories, and home care diagnosis. Depending upon the types of tests, the market can be further segmented into molecular diagnostic tests, mechanical tests, imaging tests, and traditional diagnostic tests. Of these, the traditional diagnostic tests segment is slated to hold a sway over the market because of the quick turnaround time of these tests. Based on the disease-type, the tuberculosis segment leads because of the rising instances of tobacco smoking and alarming air pollution levels. Going forward, however, the lung cancer segment is forecasted to clock maximum growth and drive up demand in the global respiratory diagnostics market. Based on end users again, the hospital and clinical laboratories segment leads and in the years ahead is forecasted to outpace all other segments in terms of growth. This is because, respiratory disease diagnostics need to be conducted in hospitals leveraging technologically advanced products. A TMR Research report on the global market for respiratory diagnostics presents a 360-degree overview of it. It sheds light on the current market size and dynamics and goes on to gauge its future prospects. The report is a compilation of decisive information about the global market arrived at after thorough primary and secondary research. The most prominent growth drivers in the global market for respiratory diagnostics are the alarming increase in instances of respiratory diseases, a growing geriatric population, and sweeping progress in the technology leveraged in respiratory diagnostic systems. Further, fast-expanding economies in Asia Pacific hold out a strong promise for market players. Having touched upon the key growth factors and market opportunities, the report also details the factors restraining the market. It finds the increasing healthcare costs and reimbursement concerns to be major deterrents to the market. Dearth of awareness and the presence of a large underdiagnosed and undertreated population also pose a crucial challenge to the market. Geographically, the global market for respiratory diagnostics can be divided into Asia Pacific, Europe, North America, and the Rest of the World. The emerging economies across Asia Pacific, namely China, South Korea, Japan, India, Taiwan, Singapore, and Australia offer robust opportunities for growth. A growing elderly population, rising fortunes of people, increasing investments in the healthcare industry by key market players, and multiplying private-sector hospitals are factors at the forefront of driving growth in the region. Besides Asia Pacific, other major markets are North America and Europe. Their growth has been primarily driven by the burgeoning geriatric population, increasing instances of respiratory diseases, solid presence of an advanced healthcare system, and a robust distribution network for respiratory diagnostic products. 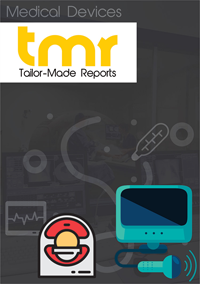 To present a detailed assessment of the competition prevailing in the global market for respiratory diagnostics, the report profiles companies such as Philips Healthcare, Becton, Dickinson and Company, Abbott Laboratories, Thermo Fisher Scientific Inc., and Alere, Inc.